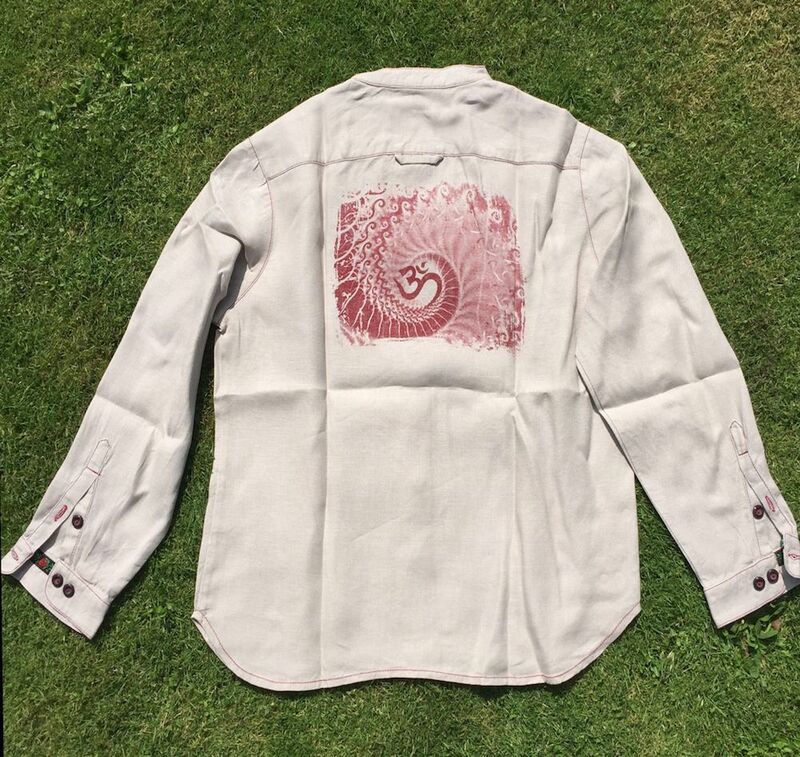 An exceptional linen men shirt, made from 100% high quality Polish linen, with the unique Om fractal painting on the back. Fractal is a fragmented self-similar object, which means, that it is part of a reduced copy of the whole. This exceptional shirt is created with the thought of a man fascinated as much by the world of science and mind as by the world of soul and heart. 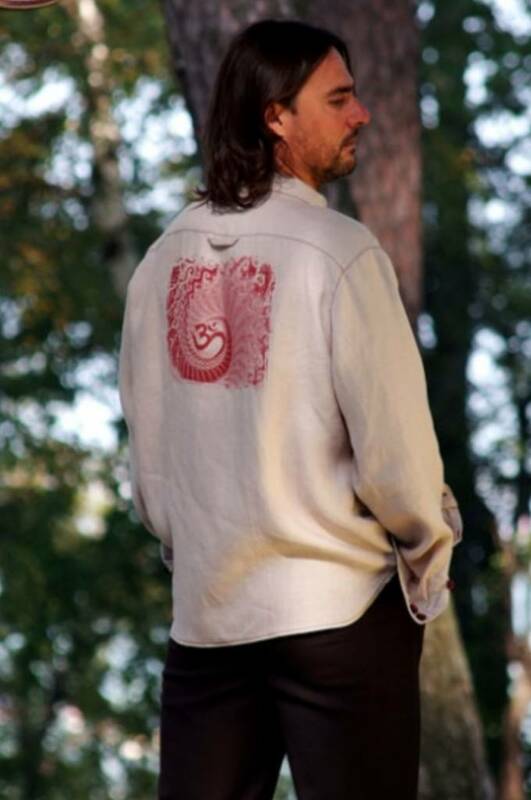 Made from 100% high quality Polish linen in the natural color beige, enriched with burgundy stitching, buttons, trimmings and, most of all, with the unique Om-fractal painting on the back. Fractal is a fragmented self-similar object, which means, that it is part of a reduced copy of the whole. In other words: Fractals are a hidden dimension, ever existing but invisible, law and order governing so called chaos. Science states that fractal geometry is present in every part of our modern world, from astronomy, metallurgy, zoology and technology to medicine, economy and art. Fractals are bridging pragmatism and esthetics with mysticism. They prove that every material form is a manifestation of infinite and interdependent nature of all phenomena based on loving collaboration. Sign and sound OM complements perfectly the fractal symbolism, its vibration permeates namely everything that is with its power of transformative Love. 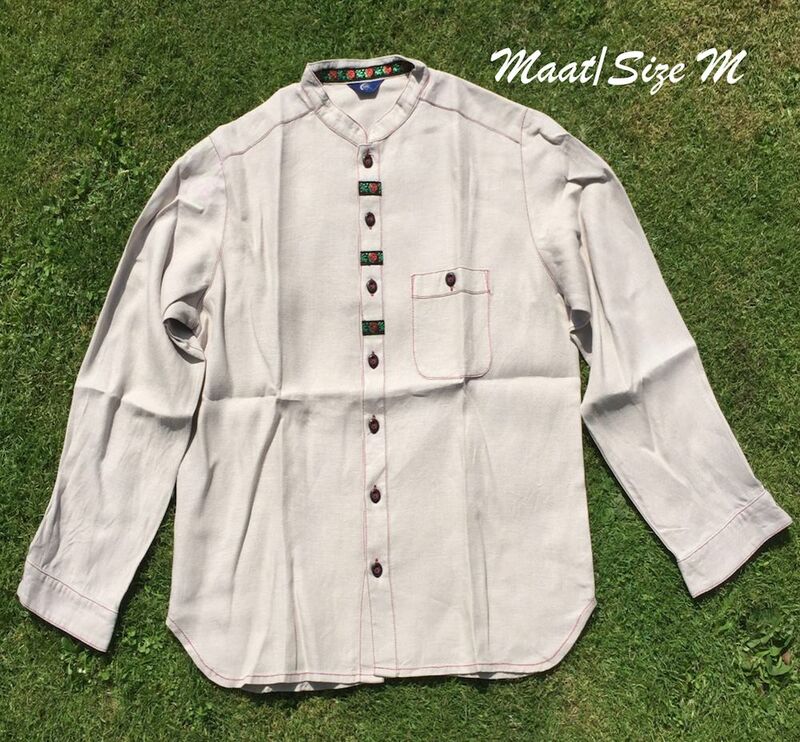 Let this beautiful shirt inspire every man who wears it towards the life, which connects harmoniously matter with spirit and mind with the heart. Let it be, OM. 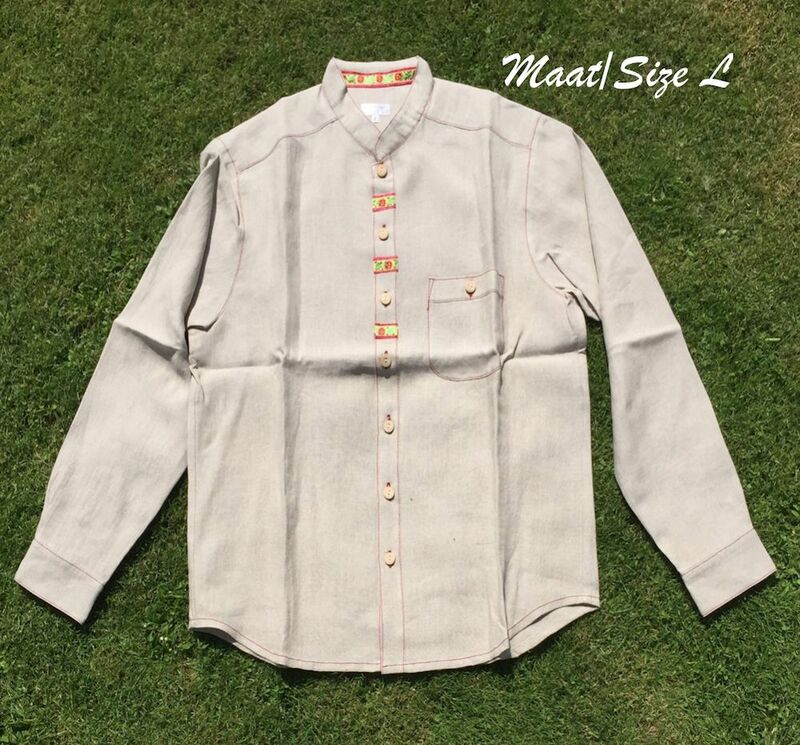 Every size has it own color in buttons and burgundy stitching (see photos).